How Long Does an Unpaid Bill Stay on a Credit Report? The ramifications associated with an unpaid bill can reach beyond your credit score and your wallet. It can make finding a job difficult and can result in legal consequences if not handled appropriately. Understanding the basics associated with how long an unpaid bill can haunt you -- and haunt your credit report -- can help you take the necessary steps to remedy the situation. For the most part, an unpaid bill can stay on your credit report for up to seven years. Often referred to as derogatory or negative information, an unpaid bill may be reported by your original creditor, and by a collection agency if the account gets turned over to one. In theory, this means that your credit could take a hit from the late payments and unpaid status of the account associated with the original lender, as well as the report by the collection agency. While an unpaid bill on your credit report is something to avoid, generally time is on your side. According to FICO, older debts have less of an impact on your credit score than a newer debt. Most public records, including judgments awarded for debts, remain on your credit report for seven years. In addition, these debts can also show up twice on your credit report. The original creditor likely reported the unpaid debt, and if a judgment was awarded in the creditor's favor, the public record will also be reported. Bankruptcies, on the other hand, can remain on your credit report for up to 10 years. Unpaid tax liens can remain on your credit report indefinitely, making tax bills a priority when assessing how to improve your credit file. Special attention should also be paid to medical bills. The long-standing myth that medical bills aren't reported to credit bureaus is just that -- a myth. While medical offices may not initially report the debt, if you fail to pay and it goes to a collection agency the unpaid debt can be reported. Unpaid medical debts stay on your credit report for seven years, just as other consumer debts. 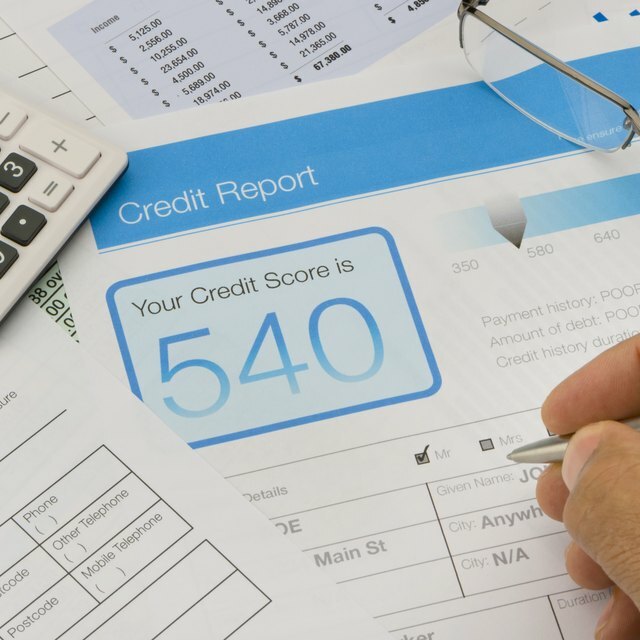 When Will a Bill Turned Over for Collection Show on Your Credit Report? How Long Before a Debt Is Written Off? Does a Small Claims Court Judgment Go On Your Credit? How Long Do Charge-Offs Stay on a Credit Report? Which Is Worse for Your Credit, Unsecured Debt or Revolving Credit? Paying on an old debt doesn't automatically remove it from your credit report. In some instances, depending on your state and the type of debt, making a partial payment toward an old debt or making payment arrangements can restart the clock, essentially lengthening the time the unpaid account can be reported to the credit bureaus. It's important to check with your state attorney general's office or an attorney concerning your state's statute of limitations to better assess the ramifications associated with handling old debts.